Protecting your home from fires is easier than you think! It seems as though there has been a rise in home fires recently. As a result, understanding how to stay safe and protect your home from a damaging fire is critical. Here are some suggestions you can use to protect your home from fire. If you have any electronic devices that are not being used, turn them off. In fact, when you leave your computer on standby you are consuming minimal energy. However, the fire risk is increased because these appliances are left idle. In addition, it’s important to regularly monitor and maintain your electronic appliances to ensure that they are in proper working order. Otherwise, you may end up with a spark that can start a house fire and spread rapidly. Ideally, you want to make sure that your gas tank is working properly. In fact, a leaky gas tank is extremely hazardous to any home. It is critical to take extra precautions when you are changing or replacing your gas tank. You want to ensure that your gas tank is secure and in good condition. Therefore, making sure that everything is properly secured, especially the regulator, will provide you and your family with the peace of mind that you are unlikely to suffer from a fire. 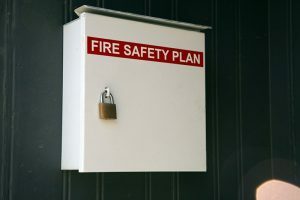 The best way to practice fire safety is to create and implement a fire safety plan for your family. In fact, being informed about fire safety is the best way to protect yourself and your family in case of a fire emergency. Providing your family with a detailed escape route in a fire emergency situation provides everyone with the proper knowledge of what to do in a very chaotic situation. Protect Your Home From Fire With Anderson Fire Protection Inc. Who Is A Farenhyt Select Distributor For Silent Knight by Honeywell. This entry was posted on Wednesday, March 22nd, 2017 at 2:21 pm. Both comments and pings are currently closed.